A new Public Policy Polling survey shows support for marijuana legalization in Colorado at 51%, with 38% opposed. 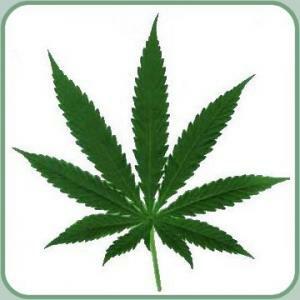 The poll comes as activists there are prepare to put at least one marijuana legalization initiative on the November 2012 ballot. Pot legalization was favored by people who voted for Obama in 2008 (68%), moderates (53%), liberals (68%), and the very liberal (82%). In terms of party affiliation, legalization scored well with Democrats (65%) and independents (55%), but only won the support of 31% of Republicans. Legalization won majority support among men (54%), but not women (49%), and among whites (51%), but not Hispanics (49%), although, with the poll’s +/- 4.3% margin of error, both findings suggest a virtual dead heat. By age group, legalization had the greatest support among 18-to-29-year-olds (71%), followed by 46-to-65-year-olds (53%), 30-to-45-year-olds (52%). Only among the post-65-year-olds did legalization fail to win majority support (36%). While the poll shows a slim majority favoring legalization, the conventional wisdom among initiative campaigners is that an initiative should be polling at least 60% when the campaign hits the ground running, so these results suggest campaigners in Colorado have their work cut out for them — building support for legalization in principle and/or finding an initiative model that answers the questions causing some to go with no or undecided so far. These results also suggest that campaigners are going to have to craft messages that resonate with key demographic groups, particularly middle-aged mothers. At least marijuana legalization is polling ahead of other hot-button social issues in Colorado. While a narrow majority favor freeing the weed, only 45% thought gay marriage should be legal or approved of a small state tax increase, while only 38% approved of the Tea Party and only 32% approved of legalizing prostitution.